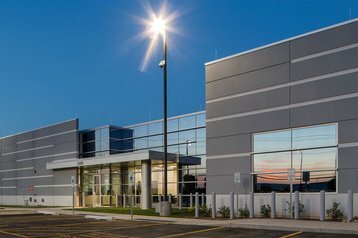 Investment in North American data centers reached an all-time high of $18.6bn in the first half of 2017, according to a study published by real estate specialist CBRE. The analysis, which looked at how much was spent on data center assets, acquisitions, new builds, leases and wholesale contracts in the United States, found that in the past five years, the market has generated $45bn. Asset sales alone amounted to $4.39bn in the first half of the year, the most significant of which was Equinix’s purchase of a number of Verizon’s data centers for $3.6bn. The total of all acquisitions - not counting transactions where the parties involved did not wish to reveal their value - amounted to $13.77bn. The biggest acquisition to have taken place so far in 2017 was of course that of DuPont Fabros by Digital Realty for $7.6bn, followed by Cyxtera Technologies’ (formerly BC Partners and Medina Capital) $2.8bn purchase of CenturyLink’s data center portfolio. In the whole of the US, 284MW of wholesale capacity was found to be under construction in the first half of the year, 131MW (46 percent) of which was already pre-leased. Northern Virginia was leading with the most new data center projects, having seen 52MW of net capacity added in the first half of 2017. The state reached total capacity of 608MW - almost 400MW of which was made up of DuPont Fabros and Digital Realty facilities - making it the biggest data center market in the country. The second biggest, the Dallas/Fort Worth area, saw a 23MW net increase in data center capacity in H1, followed by Phoenix and Silicon Valley, where capacity grew by 14MW. Vacancy rates were found to be lowest in Silicon Valley and Chicago, where competition for real estate is high. Rental rates remained stagnant however, as they have since 2015, with prices ranging between $125 and $145 per kW per month, a rate strongly affected by customers’ requirements - i.e. resiliency, type of applications being deployed, and operating model. Total cost of ownership affected market site selection more than rates. The study noted a discrepancy between lease requirements of hyperscale content service providers and average enterprise users, stating that hyperscale customers now seek and prioritize geographic, business and revenue expansion, as well as the possibility of scaling up quickly if necessary; whereas enterprise users favor contract flexibility, proximity and access to cloud services, and infrastructure reliability. The study breaks down the activity of both existing prime markets and locations that are seen as showing high potential for future growth. Atlanta has witnessed the emergence of several new service providers which could lead to a boost of wholesale activity, as well as 3MW in new facilities. Projects underway promise an additional 7.5MW of capacity, with the city’s largest project underway being the Switch campus. Chicago’s existing supply was found to be very low, with only 2.1 percent of vacant space, to the point that deals were reportedly lost due to failures to deliver capacity on time. The city has 40.8MW of additional capacity under construction - including DuPont Fabros’ CH3 facility - of which 28.6 is already pre-leased. The Dallas/Fort Worth area saw 22MW of net uptake, bringing its vacancy rate down to 16.8 percent. Of the ten projects totaling 46.7MW in the works, most were said to have been taken to the first stages of construction on a speculative basis. The region’s hyperscale uptake gained traction with new custom in CyrusOne and Digital Realty facilities, and major deals between DataBank and Stream Data Centers, as well as QTS and the Health Care Service Corporation. Phoenix’s vacancy rate rose from 3.1 percent in Q4 2016 to 8.8 percent due to space remaining unoccupied in IO Data Centers’ and Digital Realty’s most recent facilities. Following market trends, CSP leasing lagged slightly while enterprise leasing grew. Cyrus One’s planned Chandler Campus was fully pre-leased in H1, and Aligned Energy’s latest facility pre-leased 3MW of its 5MW capacity. As mentioned previously, Northern Virginia remained above and beyond other US markets with a rather impressive 41.5MW uptake, mainly from pre-leases as big builds were completed. New supply totaled 52.2MW, pushing vacancy up to 35MW, or 5.8 percent. 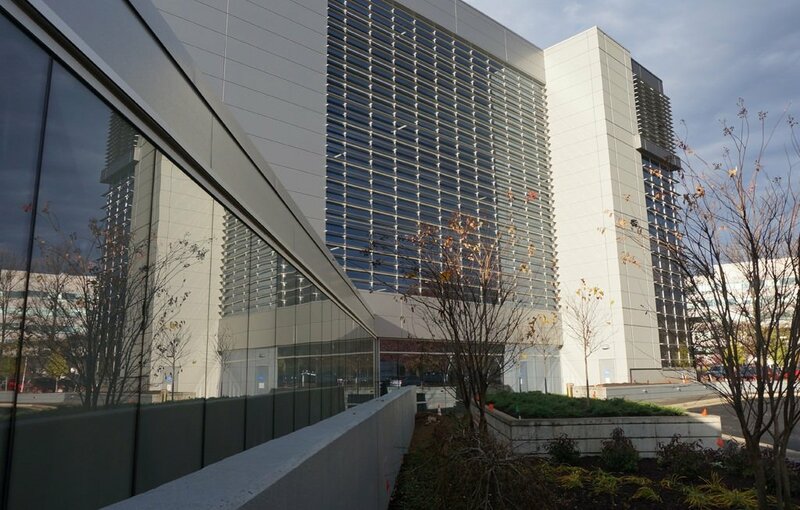 The ten projects currently in development will offer 119MW of additional capacity, including 67MW of pre-leased space; 76MW is likely to come online before the end of the year, including CloudHQ and IronMountain’s Manassas facilities, as well as CoreSite, Digital Realty and DuPont Fabros sites. Silicon Valley remained limited by its low number of wholesale options and lack of building opportunities. Of the new data centers being constructed, all 29.5MW have already been pre-leased, and despite a vacancy rate of 5.3 percent, half of this was found to be in less desirable second-generation facilities. The area’s net uptake of 12MW mostly comprised CoreSite’s recently launched Santa Clara facility, and its most significant transaction was the $1.2bn acquisition of Vantage Data Centers by Digital Bridge and a consortium of investors. The New York Tri-State region showed signs of recovering from the impact of Hurricane Sandy with 2.9MW of net uptake, down to 18.2 percent of wholesale vacancy. Most of the area’s new builds are either retail or colocation facilities, with businesses looking for diverse geographic locations in order to soothe customers’ security concerns - which explains market growth in both Connecticut and Orangeburg. Most significantly in H1, QTS bought DuPont Fabros’ New Jersey facility, and CyrusOne bought the entirety of Sentinel Data Centers for $490m. Minneapolis data center market continued to grow at a steady pace, with high demand for third-party space. The city saw a net uptake of 3.2MW in the first half of the year, with another 6MW predicted in the next six months. Region’s relative high vacancy rates are mostly due to expansions rather than new builds, though it has 5.4MW of capacity under construction and another 16.7MW planned. Boston’s high power costs, tax rates and lack of incentives for data centers did not do it any favours. Its vacancy rate for wholesale space reached 24.4 percent, its net uptake was only 1MW and the 2.4MW being developed by CoreSite and Markley recorded no pre-leases. North Carolina, on the other hand, recorded a total capacity of 50.9MW with 10.5MW of net uptake in H1, likely thanks to its low cost of power, a number of data center incentives and a high level of local investment in renewable energy. In this neighborhood, the most prominent deal was the Peak10 acquisition of ViaWest for $1.68bn. Houston’s activity stalled somewhat, with a 21.4 percent vacancy in wholesale and almost 30 percent in retail and colocation. New developments were limited, though DRT’s 3MW facility is due for completion this year. In the Austin and San Antonio areas, no significant leasing deals were made in H1 and vacancy rates rose to 15.5 percent, though between CyrusOne’s planned 12MW data center in Austin and its 9MW expansion in SA, as well as Data Foundry’s 16MW facility under development, the region is poised for new activity in the coming years. And finally, according to CBRE, a market to keep an eye out for is Columbus, Ohio, which, thanks to its reliable power grid, robust fiber network and geographic proximity to high population centers, has shifted slightly from having sparse corporate data centers to becoming a chosen location for cloud operators. Facebook recently unveiled plans for a $750m data center in the area.